It’s well-documented that Tracer was Overwatch’s first playable hero, but before the game was ever playable, another character helped hammer out Overwatch’s identity. Surprisingly, it was Torbjorn. 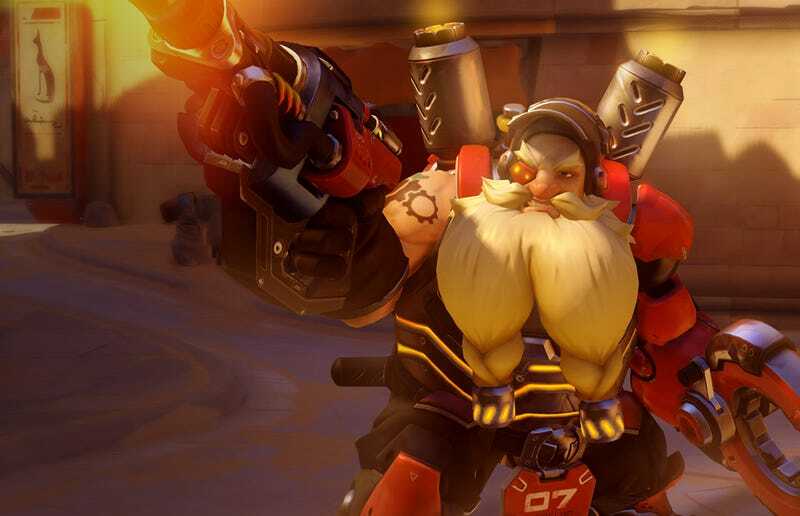 During a GDC panel earlier today, Overwatch art director Bill Petras and assistant art director Arnold Tsang explained, among other things, how Blizzard molded the game in Torbjorn’s image. Similar to the way Torbjorn is now, but a bit more... restrained. Overwatch as we now know it relies on exaggerated character designs and immediately recognizable silhouettes, and that began when Blizzard art director Sam “Samwise” Didier stepped in and gave his two cents on Torbjorn. Torbjorn then became the test case for level art. As the team worked on Overwatch’s first level, Temple of Anubis, they inserted art of Torbjorn into it to make sure they were on the right track. So actually, Overwatch owes its look and feel to multiple Torbjorns.